Robert Adams is an unflinching witness to grand promises sometimes fulfilled and sometimes laid to waste. A faithful visitor to the Northwest since the early 1960s, he moved permanently from Colorado to the region in 1997, making Oregon his home and its landscape the principal subject of his photography. Acutely sensitive throughout his five-decade career to environmental changes brought on by industrial production, suburban sprawl, and overconsumption, Adams continues to document these transformations while simultaneously searching for beauty in the terrain of the Northwest. The Question of Hope features seventy photographs—many never before exhibited or published—that demonstrate Adams’ reverence for the region’s limited natural resources, imploring us to face the politically and emotionally charged practice of forest clearcutting and to seek redemption along the Oregon Coast. 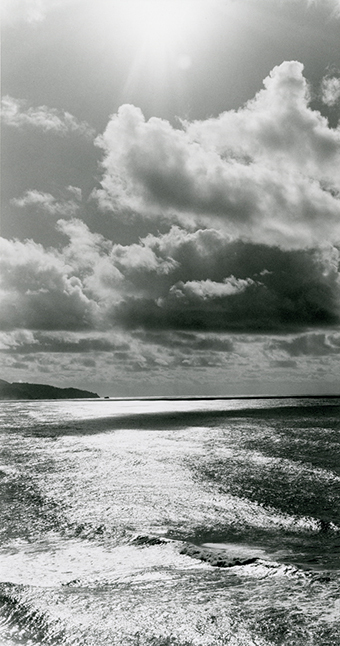 Organized by the Portland Art Museum and curated by Julia Dolan, PhD, The Minor White Curator of Photography. Major funding provided by the Ford Family Foundation and the Paul G. Allen Family Foundation; additional funding by the Kinsman Foundation and Victor Winkler/Metro Metals NW, Inc. in honor of Jim Winkler.